Back in the beginning of summer I had a bit of a crisis. I could have sworn that I was losing my hair. There seemed to an influx in hair left on my brush, and down my shower drain. As somebody who has lived her whole life with lush locks I was pretty nervous about my sudden hair loss. I was concerned enough about it to do some serious “hair-loss” googling! Then BlogHer happened and I was too caught up in that to pay much attention to anything else. However, then fall started and I headed back to school – and I noticed it again. My hair seemed thinner, and less life-like then before. Maybe it was stress? Or maybe I wasn’t getting enough vitamins? 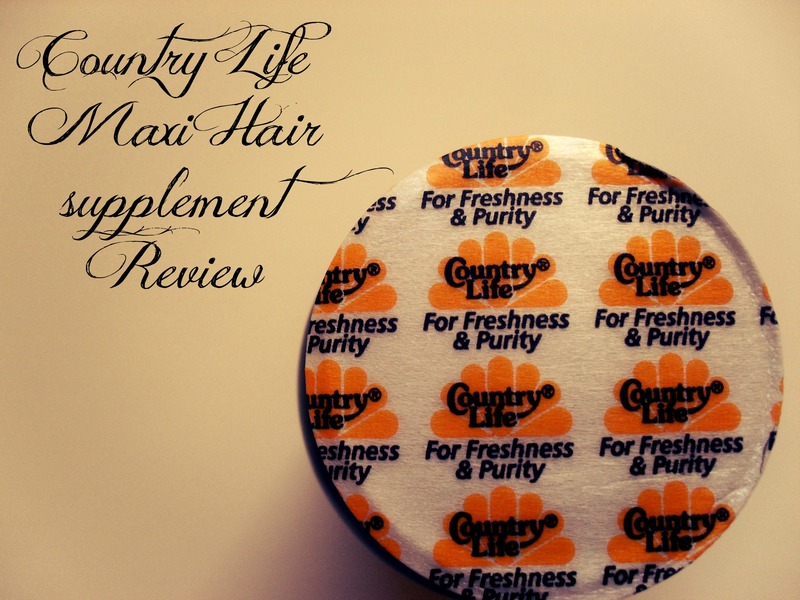 Lucky for me, I had the chance to try Country Life’s Maxi Hair Supplement! I know, I know – this might sound like a cheesey ad- but- I would have never considered taking a supplement unless I had received it in my Naturals Vox Box. In fact, even when I had received it I was a little skeptical. I have pretty strong and healthy nails, and my skin isn’t terrible or anything- so I was reluctant to add yet another thing to my morning routine. But like a good product tester, I obediently tested. In the three weeks that I’ve been using Country Life’s Maxi Hair I’ve noted a welcome change. It looks like my hair loss has been reduced to a normal level. I’m definitely seeing less of it in the shower, and on my hairbrush. In fact, it’s also gotten some serious shine going on – it’s looking really healthy! Even the tips of my nails are looking whiter, and healthier! 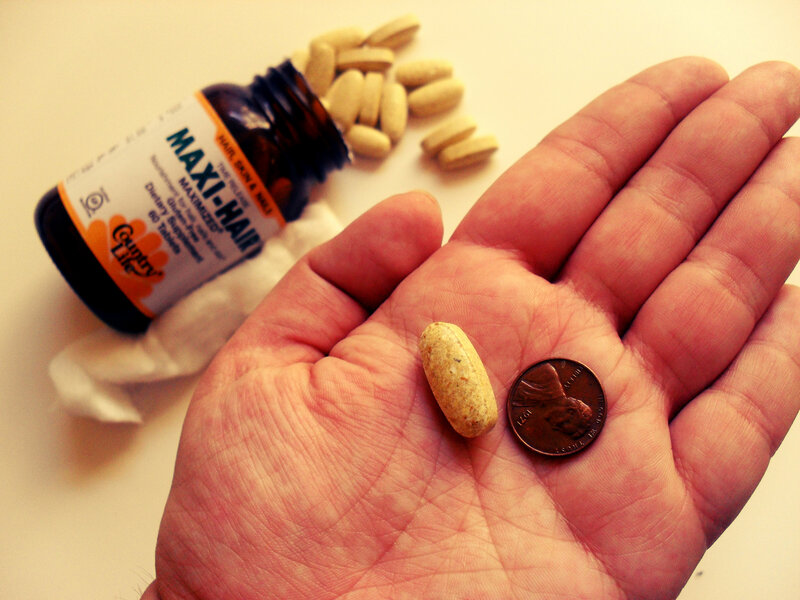 Overall, I’m really happy about Country Life’s Maxi Hair supplement – the pill’s a little big, and has a strong smell, but these are minor issues. I would definitely buy them again! But don’t just take my word for it- read what other influensters have to say about the supplement here – and check out the other products that Country Life has to offer here! *I received this product complimentary for testing and review purposes from Influenster. Opinions expressed belong to The NYC Talon and are not influenced in any way. Please feel free to view my full disclosure, and PR policy. Product Rave: Gillette Venus & Olay Razor! Previous Post ROCKtoberfest $25 Cash Giveaway!